My second Canonet, bought in an attempt to get one with a working meter. It's not in quite as nice nick as the first, with some rust on the film speed selection lever, and in a case that has obviously been well used! However, the meter seems nice and reliable. 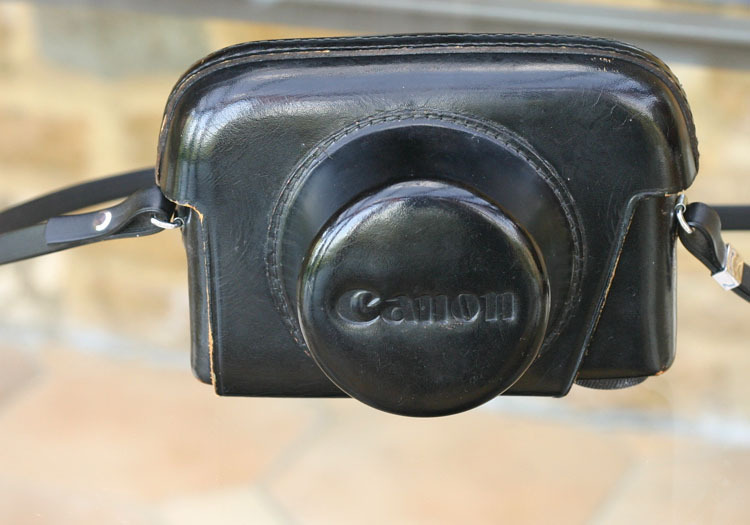 The picture below is actually of it in the much nicer case that my first Canonet usually lives in. Sheer capriciousness on my part.